Estimation of an unknown deterministic vector from quantized sensor data is considered in the presence of spoofing and man-in-the-middle attacks which alter the data presented to several sensors. First, asymptotically optimum processing, which identifies and categorizes the attacked sensors into different groups according to distinct types of attacks, is outlined in the face of man-in-the-middle attacks. Necessary and sufficient conditions are provided under which utilizing the attacked sensor data will lead to better estimation performance when compared to approaches where the attacked sensors are ignored. Next, necessary and sufficient conditions are provided under which spoofing attacks provide a guaranteed attack performance in terms of the Cramer-Rao Bound (CRB) regardless of the processing the estimation system employs, thus defining a highly desirable attack. Interestingly, these conditions imply that, for any such attack when the attacked sensors can be perfectly identified by the estimation system, either the Fisher Information Matrix (FIM) for jointly estimating the desired and attack parameters is singular or the attacked system is unable to improve the CRB for the desired vector parameter through this joint estimation even though the joint FIM is nonsingular. It is shown that it is always possible to construct such a highly desirable attack by properly employing an attack vector parameter having a sufficiently large dimension relative to the number of quantization levels employed, which was not observed previously. For unattacked quantized estimation systems, a general limitation on the dimension of a vector parameter which can be accurately estimated is uncovered. Dr. Rick S. Blum received a B.S.E.E from Penn State in 1984 and an M.S./Ph.D in EE from the University of Pennsylvania in 1987/1991. From 1984 to 1991 he was with GE Aerospace. Since 1991, he has been at Lehigh. His research interests include signal processing for smart grid, communications, sensor networking, radar and sensor processing. He was an AE for IEEE Trans. on Signal Processing and for IEEE Communications Letters. He has edited special issues for IEEE Trans. on Signal Processing, IEEE Journal of Selected Topics in Signal Processing and IEEE Journal on Selected Areas in Communications. He was a member of the SAM Technical Committee (TC) of the IEEE Signal Processing Society. He was a member of the Signal Processing for Communications TC of the IEEE Signal Processing Society and is a member of the Communications Theory TC of the IEEE Communication Society. He was on the awards Committee of the IEEE Communication Society. 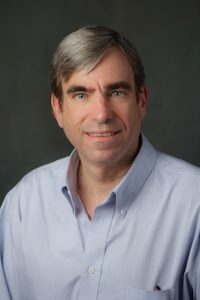 Dr. Blum is a Fellow of the IEEE, a former IEEE Signal Processing Society Distinguished Lecturer, an IEEE Third Millennium Medal winner, a member of Eta Kappa Nu and Sigma Xi, and holds several patents. He was awarded an ONR Young Investigator Award and an NSF Research Initiation Award.